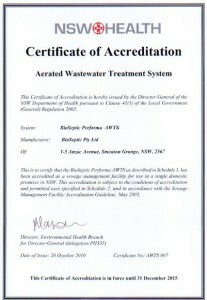 When you purchase a BioSeptic waste water system you are guaranteed a high quality product from a name you can trust. The BioSeptic system is designed to pump out clear, odourless water, suitable for irrigating your garden. Test results indicate that the BioSeptic wastewater treatment system produces a water quality that is among the best in the industry. 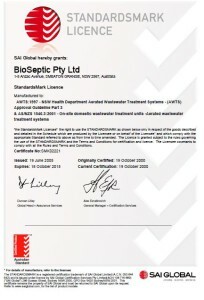 BioSeptic is accredited to AS1546.1 to manufacture septic tanks and also to AS1546.3 to manufacture aerated wastewater treatment systems and follow rigorous processes and guidelines. We are audited by SAI Global on an annual basis to ensure our Quality Assurance Accreditation is maintained. 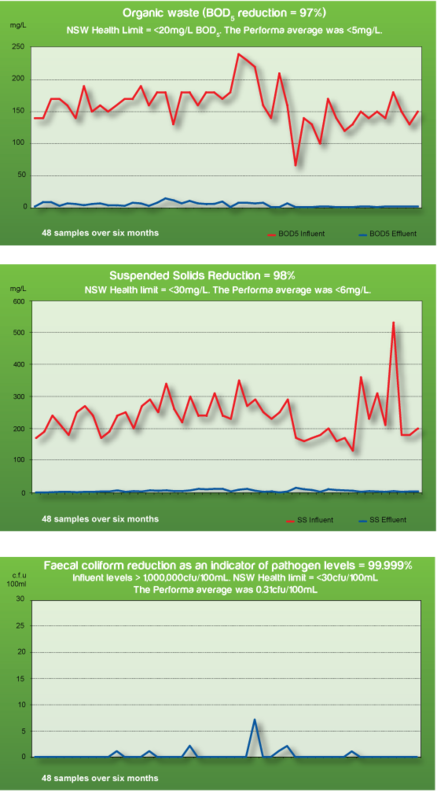 All BioSeptic systems are manufactured at our state of the art production facility at Smeaton Grange, South West Sydney.